Delphi is located 110 mi. [180 km.] 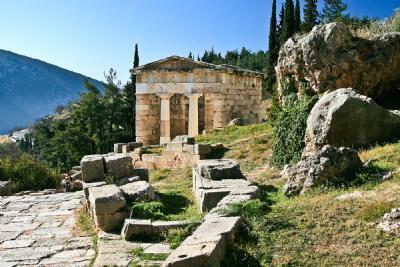 northwest of Athens and is situated below the Phaedriades Cliffs on a steep mountain slope that descends into the Pleistos Valley—a very dramatic setting indeed.